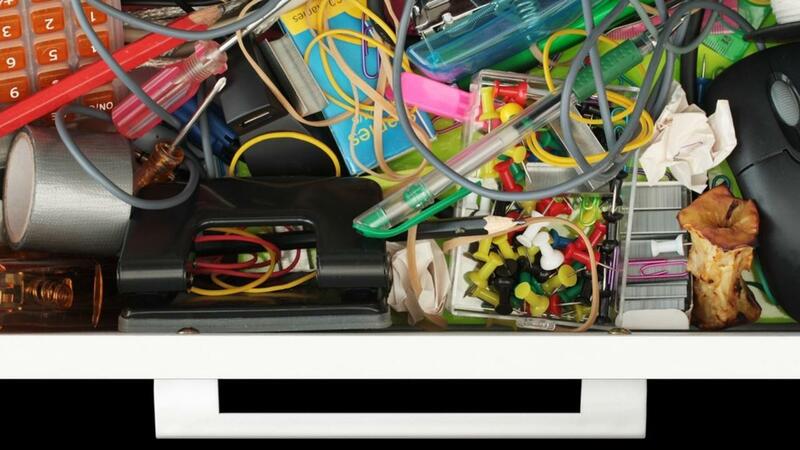 What's in your junk drawer? I know you have one, everyone does! You know, that drawer that seems to catch everything from bread ties to change and recipes to wine corks. It's a great collection of interesting objects and mementos and yet you find yourself gazing into the drawer today and wondering, "where did all this come from"? Now what? Networks are like that too. Often perceived as an interesting collection of co-workers, former co-workers, friends, acquaintances and even people we met once but may not remember as clearly after all this time. Most of us see our network as singular, one network when in fact there's a smarter, better way to see it and organize it so it works for you. Networking has long been practiced as a way to meet people and establish ourselves in our field with others of like-mind. We attend conferences, trainings, and events and aim to meet as many people as we can ... and collect their business cards and add them to our list. But, meeting people and collecting business cards and even creating a "list' is not equivalent to real, productive networking! There's a smarter way to network. Rather than thinking of your network in 20th-century style, upgrade your thinking with the science of networks and research-based strategies. Instead of seeing your network as one big glob of people (like the junk drawer), what if you could sort your network into a set of categories, each with a specific purpose? What could you learn from this? How could this make you a Smarter Networker? The first and often our biggest network is the people who are able to help us day to day to accomplish our work. She may be the person in the finance department that can help you execute a contract right the first time; s/he may be the one that helps you with computer glitches or copier melt-downs, or perhaps he helps you figure out the best approach to your health insurance or retirement investments? Think about all the people that help you get your work done. That's just one category. If you're just getting started or perhaps circling around to figure things out given changes in your life or career, consider a few options from the person who pioneered this method, Maya Townsend. Download a free copy of Maya's Smarter Networking Manifesto. Or if you're an introvert and really don't like networking, download a free copy of the guide, Networking for Introverts. And/or register for the free Smarter Networking 101 WEBINAR coming up on January 26th (Noon, CT). Or get a head start and register for the three-part live online training session coming up in February. Learn more. I've found the best part about organizing your network into specific categories is you can better and more quickly connect with the right people. You can find who you need to make progress and, as important, give back to those in your community in ways that have heart and meaning for you. Jump on this opportunity to upgrade your networking prowess. Make 2018 the year you engage in Smarter Networking and see what a difference it makes in your life and work.